We can build an economical and ecological building for you within six weeks, because our halls are all built with pre-fabricated elements. With distribution through our international network we can ensure that schedules are met and that projects’ specified quality standards are strictly adhered to. 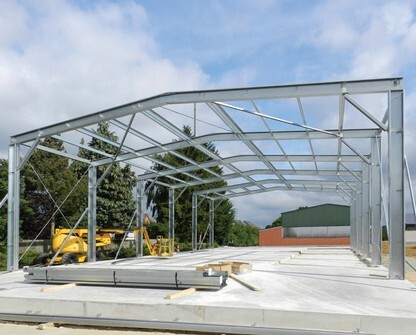 for steel buildings is quick and easy: whether you need a production building, room for storage or any other business buildings. 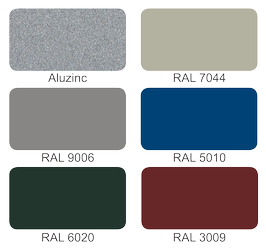 EcoBuild halls are built from standardized components to meet your space requirements. 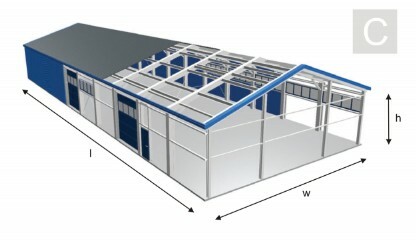 Two different types are available: Type C is based on C profiles and Type T is based on a truss system. 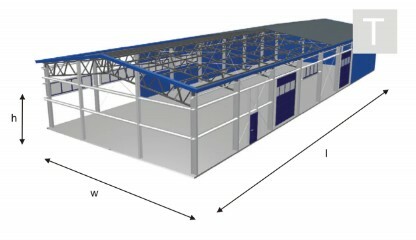 Both consist of cold formed structural members, roof and wall panels. 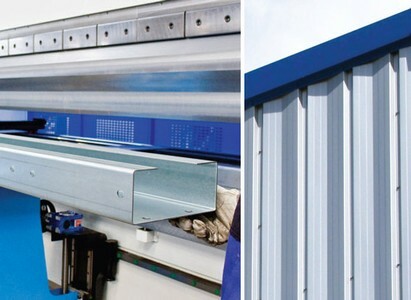 The frame system consists of galvanized cold formed structural components, produced on automated rollforming and punching lines. The frame system consists mainly of galvanized cold formed structural components, produced on automated rollforming and punching lines. Each building comes with a electronic drawing package containing information about all the components and erection. 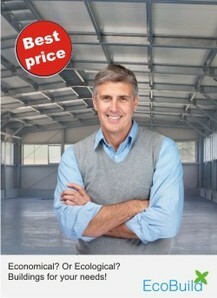 EcoBuild buildings are delivered both insulated as well as uninsulated. 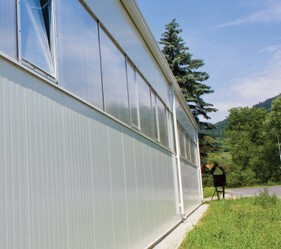 We offer an appealing range of sandwich panels providing high thermal insulation, as well as standardized profiles for more traditional built up systems, in a range of standard colors.